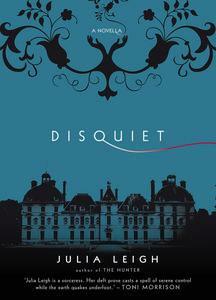 Disquiet is the much awaited second novel from Australian Julia Leigh, whose first book The Hunter was critically acclaimed both here and overseas. While the length of this work may be a disappointment to Leigh’s admirers (it is a novella), her writing is as poetic and tightly controlled as ever. The action in Disquiet occurs over the period of a fortnight; the protagonist Olivia (who is referred to as ‘the woman’ for the most part of the book) returns to her homeland and sprawling family chateau. Olivia has come from Australia with her two children, and the reader is the one who must glean exactly what she is escaping. The family home, described as ‘austere’ is, predictably, not a welcoming place. While the children try to comprehend what is happening around them, a horrible drama unfolds when Olivia’s brother and his wife bring their newborn daughter home from hospital. Leigh’s writing is highly descriptive, and without any hint of judgement she builds enormous tension. Perhaps best described as a ‘modern gothic drama’, this is a book filled with unease – the title is an understatement.